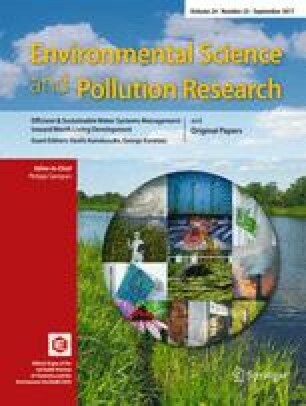 Microplastics (MPs; <5 mm) in aquatic environments are an emerging contaminant of concern due to their possible ecological and biological consequences. This study addresses that MP quantification and morphology to assess the abundance, distribution, and polymer types in littoral surface sediments of the Persian Gulf were performed. A two-step method, with precautions taken to avoid possible airborne contamination, was applied to extract MPs from sediments collected at five sites during low tide. MPs were found in 80% of the samples. Across all sites, fiber particles were the most dominate shape (88%), followed by films (11.2%) and fragments (0.8%). There were significant differences in MP particle concentration between sampling sites (p value <0.05). The sediments with the highest numbers of MPs were from sites in the vicinity of highly populated centers and municipal effluent discharges. FTIR analysis showed that polyethylene (PE), nylon, and polyethylene terephthalate (PET) were the most abundant polymer types. More than half of the observed MPs (56%) were in the size category of 1–4.7 mm length, with the remaining particles (44%) being in the size range of 10 μm to <1 mm. Compared to literature data from other regions, intertidal sediments in the Persian Gulf cannot be characterized as a hot spot for MP pollution. The present study could, however, provide useful background information for further investigations and management policies to understand the sources, transport, and potential effects on marine life in the Persian Gulf. The authors would like to thank Dr. Maaroof Zarei and Dr. Masoud Baktiarikia for their technical assistance.